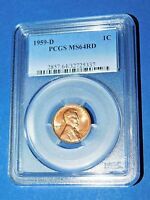 1928 P LINCOLN CENT, PCGS MS64RD, VERY CHOICE BU, BRIGHT RED, PROBLEM FREE COIN! 1944 P-D-S Brown Lincoln Wheat Cent Set of 3 Cents Double Die Error. You can add a little bit of luck to your coin collection with the addition of a 1928-S 1C BN Lincoln cent. It is a regular strike is brown from bronze, and while this one cent coin may seem simple in appearance, its design is elegant. The coin’s first mintage began in 1909 to commemorate the centennial of Lincoln’s birth. The penny replaced the Indian Head, which was first introduced in 1859. The cent’s design, by Victor David Brenner, depicts the bust of Abraham Lincoln on its obverse side. The right side of his face is showing, and the word “Liberty” is inscribed at the base of his neck. The motto “In God We Trust” is engraved in uppercase text above his head. Honest Abe is wearing a fine suit, vest, and bow tie, and the penny’s date, 1928, aligns with his breast. Just under the date is the mint mark “S,” denoting San Francisco. The “S” is known as the “Large S” and would be replaced by a smaller, thinner “S” in later mintages. The reverse side features two sweeping stocks of wheat, which is why it’s known as “the wheat penny.” Brenner chose durum wheat for the engraving. These wheat ears would be replaced in 1959 by the Lincoln Memorial in Washington, DC. The wheat pennies showed wheat stalks surrounded by the words “One Cent” and “United States of America.” The motto “E Pluribus Unum” is featured along the top border of the reverse face. Designed by Victor D. Brenner, the Lincoln cent is the longest running design listed in the United States Mint history. Brenner’s design had been picked by the 26th U.S. President, Theodore Roosevelt, in 1909, who had earlier posed for him in New York. Brenner’s association with his Lincoln penny solidified Brenner’s enduring acclaim as a world renowned artist, sculptor, and engraver. Many patriots had suggested the production of Lincoln half dollars. The United States government called coins with a value of 0.01 dollars “cents” since the Mint had produced coins using decimals. The penny nickname is a carryover from those struck in England, which went to decimals for coins in 1971. One cent coins only grew in demand because of a luxury tax introduced in 1917. This need and the President’s image made the Lincoln cent vastly popular, and after its 25 year initial run, there was no interest in changing the design. 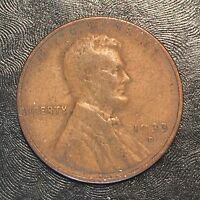 This 1928-S wheat penny is 19 millimeters in diameter, weighs 3.11 grams, and a plain edge. The cent’s metal is comprised of 95 percent copper and 5 percent tin and zinc. It is brown (BN) in color. The 1928-S wheat penny can be a must for anyone interested in numismatics, or the art of coin collecting. These pennies can not only be a great gift for a new collector, but can also provide value to any already established collection given the variety in grading between pieces. The Lincoln cent sells depending on their value, condition, wear, and die. Given their variety, the Lincoln pennies can be a great way to learn about coin grading; hence, it can not just be valuable as a collector’s item but can provide enrichment and learning for anyone interested in U.S. currencies.